You might have noticed that online games in recent times have been negatively criticized by a significant section of the community. Most of these criticisms usually focus on how much time people passively use when playing online games instead of other more active engagements. Most of these reports miss or ignore the resultant benefits of playing online games. Recent empirical studies have generated an overwhelming body of evidence in support of online games. This article will convince you that online games are indeed the best alternative for the gaming world. 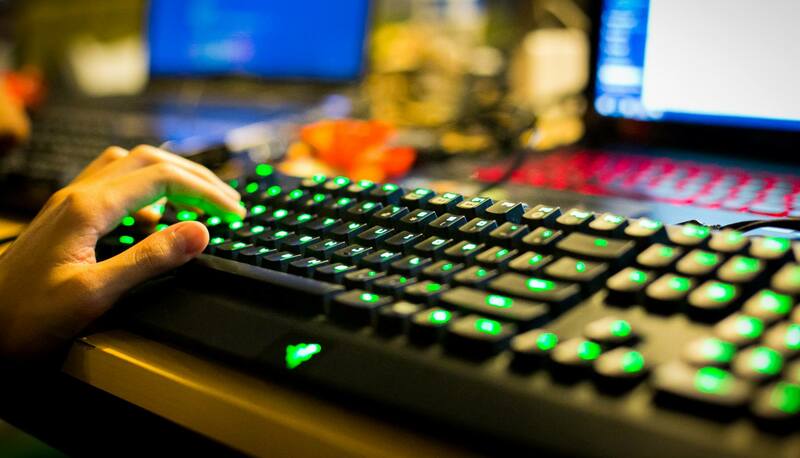 In a study published by the American Psychological Association in 2013, Isabela Granic, Adam Lobel, and Rutger Engels reported the most significant benefits of playing online games (p. 66). Before we review these benefits in more detail, and, thus, make our argument, it is important to highlight some concurrent findings from other empirical research studies besides Granic, Lobel, and Engels (2013). In 2013, the then President of the US, Barrack Obama, alongside Joe Biden, his Vice President, condemned the impact of video games and called it a trigger for gun violence in the country. In response, they announced that the US Congress had allocated over $10 million to renew research on the effects of violent video games (Obama & Biden, 2013). The statement followed the death of 33 people at Sandy Hook Elementary School, at the hands of a video-game player turned gunman. The conclusion, however, had been drawn from several research findings. Among these studies was one conducted by Ferguson (2007) who conducted a “meta-analytic review” on the “effects of violent video games” and linked video games to a rise of violence among the youth (p. 309). Gentile and Gentile (2008) also conducted “a conceptual analysis” of how modern “violent video games” act as “exemplary teachers” to teenagers to appreciate violence (p. 127). This was not a US reality but a global issue. For instance, Schmierbach (2010) explored “the connection between competitive game play and aggressive cognition” to yield a so-called “killing spree” in today’s society (p. 256). These are only a few studies among hundreds conducted in the last decade. Online games have not been associated with negative social effects, are not based on the mass violence theme of most offline games, are extremely resourceful and educative, and as Fredrickson (2001) observed, they trigger a very positive psychological state among players. To you, these traits may however sound very generalized. Indeed, they do not apply to all online games, because some are designed as a cure to boredom. You should always prioritize games that require you to play a certain role. Such games help you develop your character, creativity, intelligence, and strategic behavior. This helps you become a strong character in real life, and even helps students in performing better at school. There are thousands of sites now offering assorted online games. Some games follow specific themes, such as online strategy games, online fighting games, or arcade online games, among others. When selecting online games, always select a website with the most number of games, or specifically for a singular-theme of online games, such as fighting. Online games can help trigger cognitive development. They help inspire creativity and strategic mentality in problem-solving. Such problem-solving skills are essential and very valuable in real life (Schmierbach, 2010). Online games can help improve a person while allowing them to have fun at the same time. The online game you select should also help nurse a “positive psychology”, as recommended by the Broaden and Build Theory (Fredrickson, 2001). A good example is a game that helps you recognize your potential and skill in a way that inspires confidence in real life too. The best online games help you broaden your awareness, inspire development, and build your personality in real life. Online games are not just an option when you are bored, but also for stirring your creativity and personal development. Finally, the game should be easily accessible from any connected device, whether a stationary computer, a laptop, or a mobile device. Furthermore, it should not impose any additional costs on you. The benefit of online games is that they do not demand the high price ascribed to video and RPG games, and bring you a gaming experience without charges. In conclusion, we recommend the use of online games in our lives as it plays a very important role in learning and improving oneself. Without question, the future of online gaming is bright. When selecting online games to play, look for games that provide role-playing opportunities, involves cognitive response, inspires positive emotional reactions, and is easily accessible with no additional expenditure. Ferguson, C. J. (2007). The Good, the Bad and the Ugly: A Meta-Analytic Review of Positive and Negative Effects of Violent Video Games. Psychiatric Quarterly, 78 (1): 309 – 316. Fredrickson, B. L. (2001). The Role of Positive Emotions in Positive Psychology: The Broaden-and-Build Theory of Positive Emotions. American Psychologist, 56 (1): 218 – 226. Gentile, D. A., & Gentile, J. R. (2008). Violent Video Games as Exemplary Teachers: A Conceptual Analysis. Journal of Youth and Adolescence, 9 (1): 127–141. Granic, I., Lobel, A. & Engels, R. C. (2013). The Benefits of Playing Video Games. American Psychologist, 69 (1): 66 – 78. Obama, B., & Biden, J. (2013). Remarks by the President and the Vice President on Gun Violence. Transcript Available at http://www.whitehouse.gov/. Schmierbach, M. (2010). Killing Spree: Exploring the Connection between Competitive Game Play and Aggressive Cognition. Communication Research, 37 (2): 256–274.